Feature Friday: Casual Sophistication in L.A. 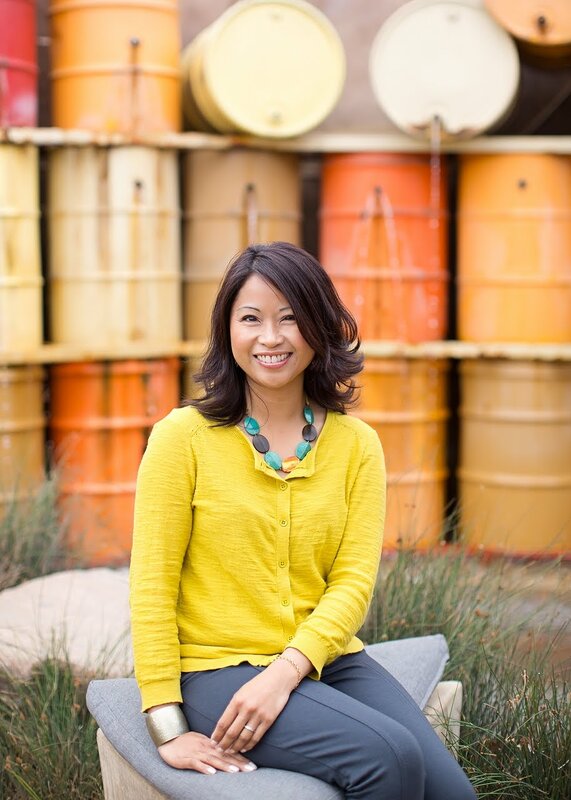 It has been such a long time since I featured an inspiring home tour here on the blog. When I came across this home in Los Angeles, I just had to share it with all of you! 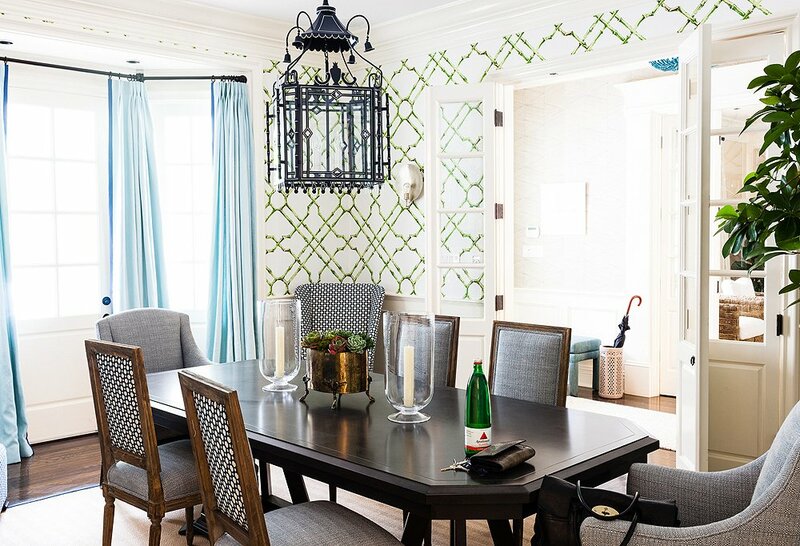 I love the pattern and color mix going on in this dining room! The bamboo trellis wallpaper and upholstery fabric on the chair backs immediately caught my eye. 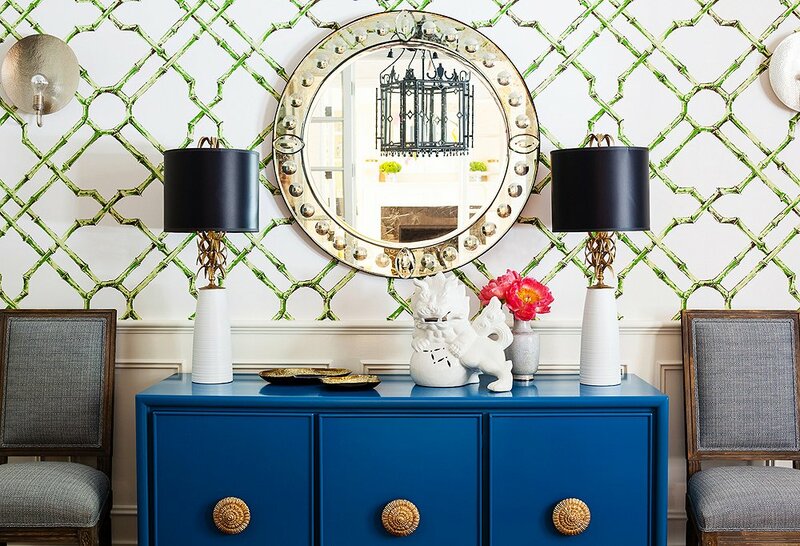 DESIGN TAKEAWAY: Don't be afraid to mix patterns and colors. Just make sure you repeat elements and maintain balance to keep things cohesive. 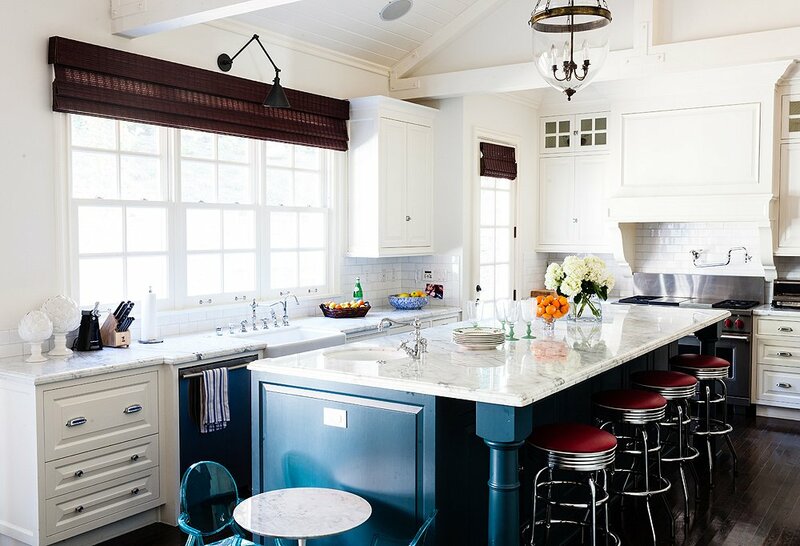 This kitchen is classic and timeless, yet modern and bold. It is full of style and character. Those stools?! Gorgeous and a bit of unexpected retro! DESIGN TAKEAWAY: Adding a contrasting color, like the blue on the island, can add dimension and interest to an otherwise neutral space. Incorporate natural textures, such as the woven roman shades, to infuse warmth and depth. Click here to see more of this beautiful Los Angeles home.